Retail interior design and project management. Briefed to create a space that would capture the skater market and eventually become a mecca for skaters in Melbourne, Moth designed a space incorporating a skate ramp that aims to draws you in with its dramatic perspective and sharp lines. 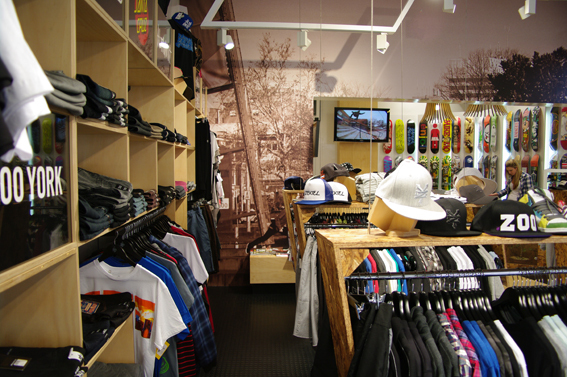 The structured nature of the store is broken up by a number of angular shapes that form the basis of the racking system. These are presented in a raw composite timber and appear to form a guard of honor as you enter. 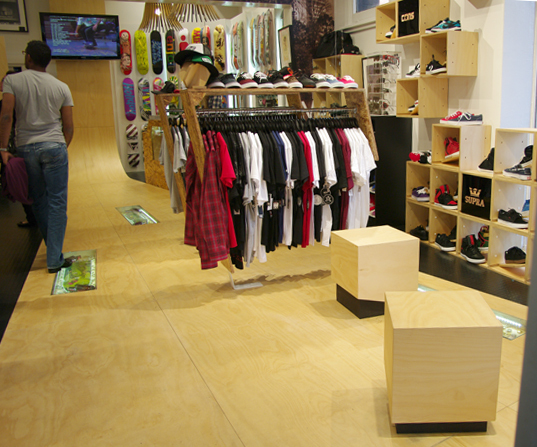 Shoes are presented in a series of timber vignettes, while the skateboards seem to hover off the wall in a wash of lights. Other features include floor recessed glass display cases and angular ceiling lighting frames.